Uruguay has had a complicated relationship with legalization, primarily because the motivation was to regulate out-of-control crime syndicates related to the black market marijuana industry. An micro-managed infrastructure has made for a rocky start getting the legal economy off the ground, but officials are still confident their plans will help eventually neutralize illegal sales.Our Los Angeles cannabis business attorneys know California has played an important role in setting an example for other states and countries. The state is the fifth largest economy in the world, so there has been a great deal of interest in how cannabis legalization would play out. California had an advantage in being the first state to legalize medical marijuana in 1996 with the Compassionate Use Act, so there was already a decent foundation in place when the state moved forward with recreational legalization at the beginning of this year. Still there are issues that exist simply because federal law labels cannabis as a Schedule I narcotic, which means all eyes are officially on Canada to see what comes next. 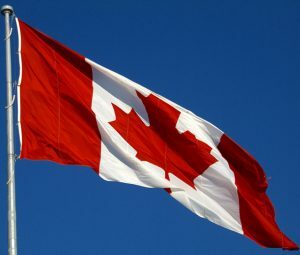 Simply being able to legally trade between provinces opens up a whole new world currently unavailable to cannabis business owners in the U.S. Indeed the move is already having influence. Britain is beginning to soften on its stodgy anti-marijuana stance by opening discussions about medical marijuana. Like in the U.S., the British government is having a difficult time continuing to deny the growing pile of evidence that cannabis can be a safe and effective treatment for a variety of medical ailments under the proper supervision. While the country is still staunchly opposed to the idea of recreational marijuana, it is no coincidence discussions of lifting its ban for medical purposes aligned with the timing of Canada passing their full legalization bill. Once the medical hurdle is cleared, a lot of haze about the dangers of marijuana is also cleared, and it is easier to have an adult conversation about the matter that isn’t steeped in propaganda. Indeed it is an exciting moment in history to be at the forefront of what is surely to be the norm as time goes on. Our legal team is prepared to equip new business owners with the tools they need to be a part of this important and groundbreaking movement in a way that is flexible enough to adapt to changes as they occur. With a patchwork of local laws in California on top of state regulations and the federal ban, it is essential to seek the guidance of skilled counsel like ours. Cannabis is clearly the future, and our team will help put you on the right track to be a part of it.